We study turbulence generated by low-blockage space-filling fractal square grids . This device creates a multiscale excitation of the fluid flow. 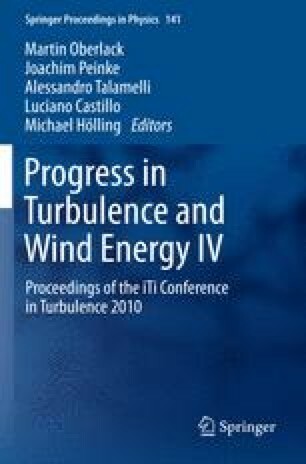 Such devices have been proposed as alternative and complementary tools for the investigation of turbulence fundamentals, modelling and applications [3, 5, 6]. New insights on the fundamentals of homogeneous turbulence have been found, showing in particular that the small scales are not universal beyond small corrections caused by intermittency, finite Reynolds number and anisotropy. The unprecedented possibilities offered by these devices also open new attractive perspectives in applications involving mixing, combustion and flow management and control.